Last year I was looking to take a colorwork workshop, and when I saw Ann Weaver was visiting Nina, a local yarn shop in Chicago, I jumped on the class. 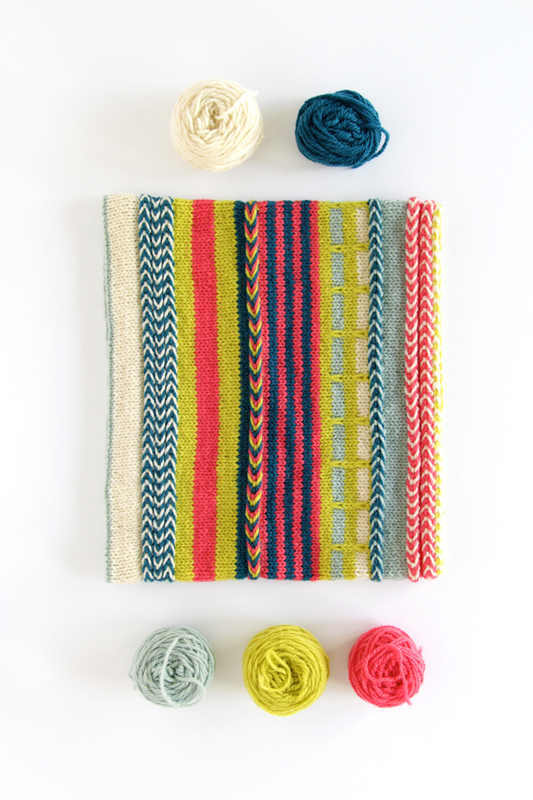 The pattern features a folded hem, Latvian braid, slipped stitch colorwork, and jogless stripes. 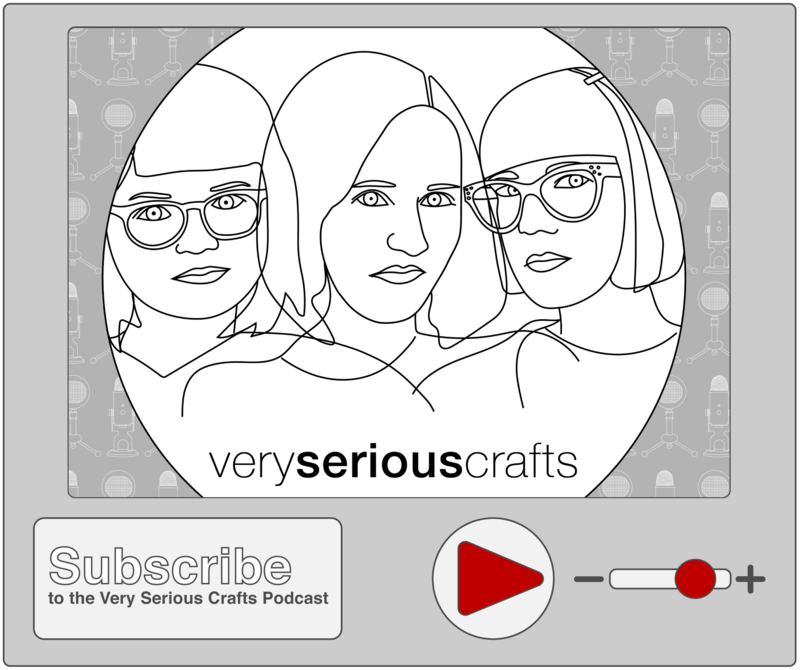 In short, it’s a really great technique-building pattern! 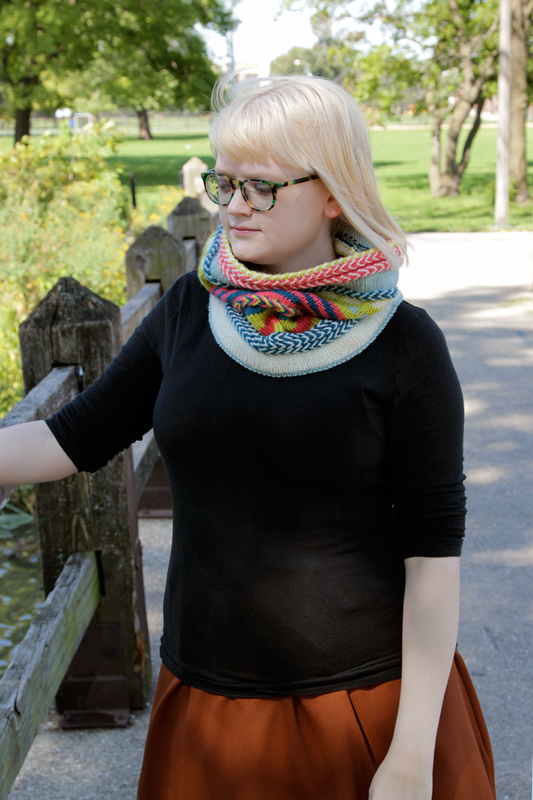 I went with a mass market yarn on this project that I’d been wanting to experiment with. It’s just Patons Classic Wool Worsted, in Seafoam, Lemongrass, Coral, Aran & Peacock. Not only did I want to experiment with the yarn, but I was really excited about the bold colors available. Plus, the wool content makes my Yipes Stripes super warm. 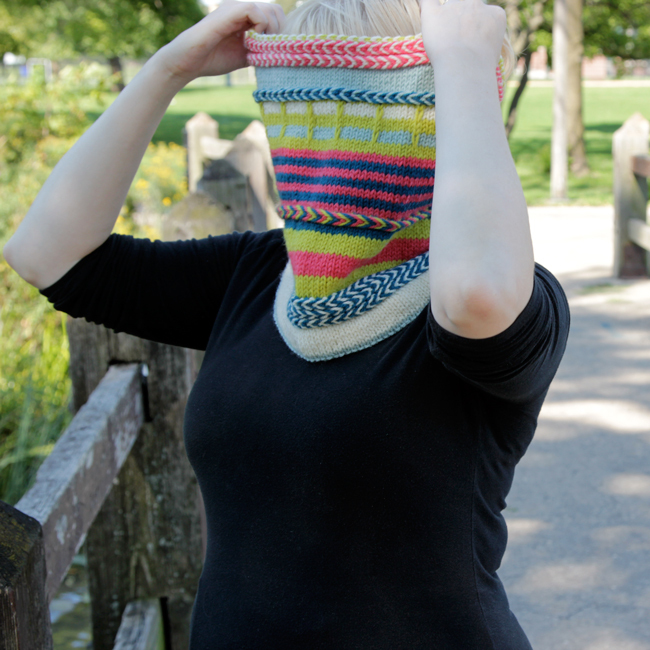 A lot of people have knit the Yipes Stripes cowl in a ton of different color combos, so I spent my time studying them and the pattern to see when and how each of the colors would interact. 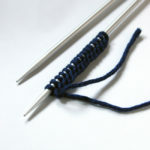 I’m really glad I included two shades of blue plus an aran for high contrast in the finished piece. The pink and neon green add a super fun touch too! 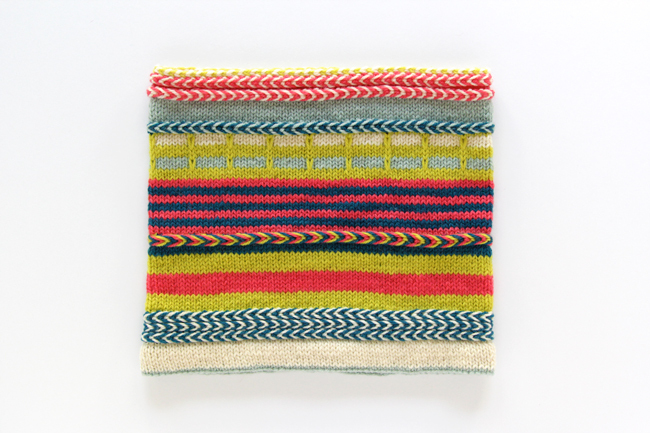 love this cowl, the latvian braids are really awesome, and the colours are so fun. Looks great on you! I too love Ann’s work. 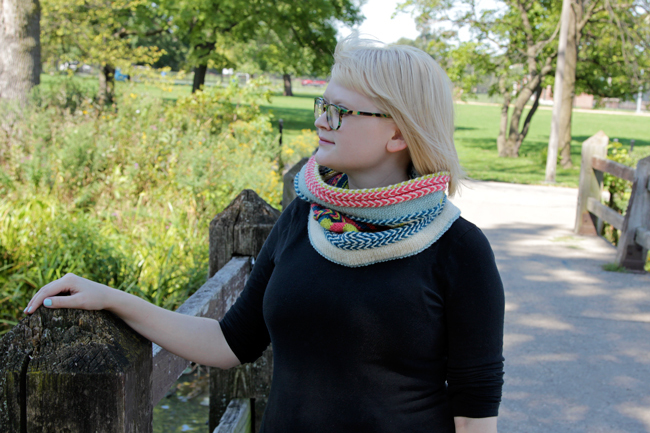 Very pretty cowl and great color choices. This is absolutely beautiful! 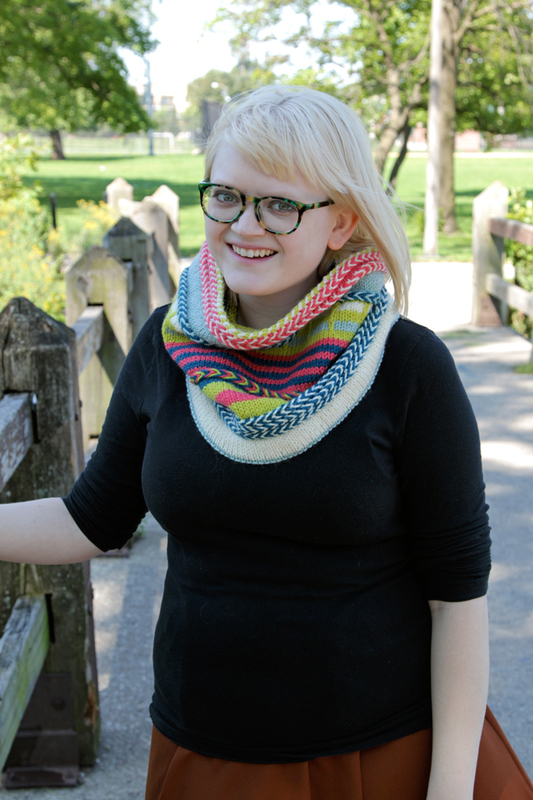 This is the type of cowl I’d love to make, if only I didn’t have any Christmas presents to make! 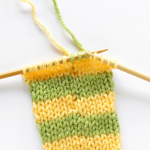 I like that you used Patons Classic Wool. I’ve never seen such bright colors of it! Besides being “spec”tacular, it matches your cool glasses! 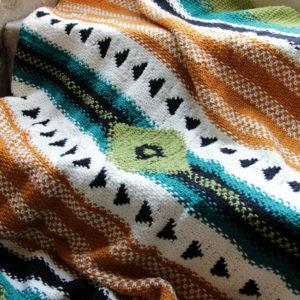 Where can I get the beautiful shawl pattern?